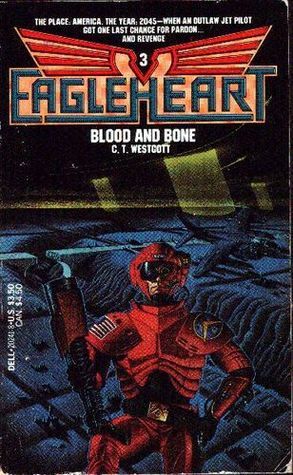 Eagleheart – THE BOOKS THAT TIME FORGOT. 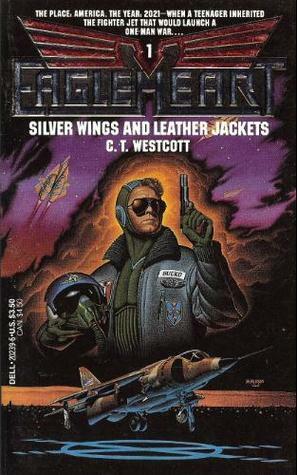 The second book in the fictional autobiography of Colonel William T. Bucko Federal Air Command. The book opens with Bucko assigned to Boca Grande in Florida. He has it pretty good. Sun, women and a little side money from salvage operations. Bucko gets word that his friend and mentor Black Pugh has been wrongly accused and sentenced to death. He then goes AWOL to bust him out. At the prison he finds out that none other than his old nemesis from the academy Kyle Befeeter is the provost marshal. Bucko is able to capture Beefeater but fails to save Pugh. Although he does get to drop the loathsome Befeeter into the Atlantic ocean from his Harrier. Now on the run as a fugitive he manages to make a deal with the government. A pardon if he can successfully infiltrate the notorious Shrimpers. A pirate gang that is terrorizing the Gulf of Mexico. Bucko is able to survive the pirate initiation and an emergency root canal by their quack dentist. He quickly rises in the crew of Neon Joe and eventually reaches the inner circle of the Shrimpers leader Carlos Membranous. He is found out but rescued by his old friend Pugh who didn’t die in the rescue attempt. He foils Membranous plan to steal the nuclear weapons stored at Boca Grande and wins his second Medal of Honor. Unfortunately for him the Befeeter family has serious political clout and the pardon falls through. Bucko and Pugh must flee to Mexico. 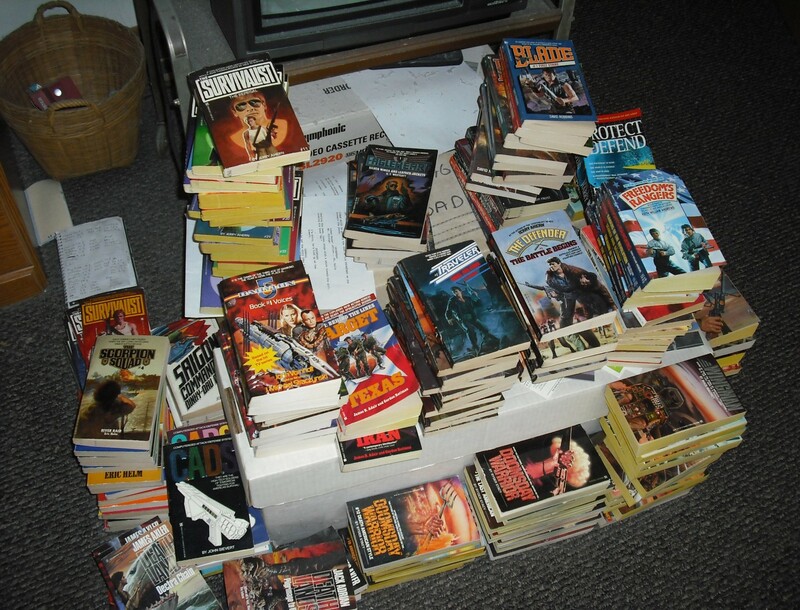 The second book continues the quest of Bucko for glory, loose women and a quick buck. (And who isn’t looking for that.) Once again it’s filled with humor and adventure. One of the humorous footnotes the Criminal Revenue Fund. Assets seized from suspected felons and used for the victims of teenage acne. All thanks to the extremely powerful dermatologist lobby. 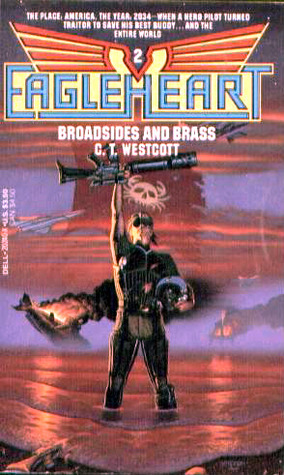 The first book in the trilogy of the fictional autobiography of Colonel William T. Bucko Federal Air Command. Bucko is a young seventeen year old living at the Twenty-nine Palms airbase in southern California. In this world a mad Russian sub commander launched an attack on the west coast. The resulting radiation gave birth to the RIHMs(Radioactive Induced Human Mutations). Bucko’s father dies when his plane is shot down over Pasadena. The orphaned Bucko sets off with his girlfriend Melodie Lane to find out his inheritance. He meets up with Black Pugh an old buddy of his father. Pugh has his fathers old TAV-8B Harrier. Bucko will get it if he graduates from the FAC academy in Quantico. On the way back to base Bucko and Melodie are ambushed by the Comancheros an outlaw gang. Bucko gets captured and the evil Donny Smiles(aka the Hook) tortures him and takes his fathers flight jacket. Will is rescued in the nick of time and the second part of the book deals with his academy days. He earns the enmity of two sadistic upperclassmen named Kyle Beefeater and Jerry Roast. His adventures at the academy eventually result in his expulsion. With nowhere else to go he goes back to Black Pugh who teaches him the art of Ywon-itsu the code of the American samurai. Translated it means you win when it suits you. Another good translation is to slack off as much as you can get away with. Learning all he can and how to fly the Harrier, Bucko takes off to recover his father’s jacket from the Hook. He tracks him to Flagstaff and gets tangled up with an undercover operation by his old girlfriend Melodie. He eventually gets his revenge and wins his first Medal of Honor. The book is a fun and irrelevant read. It is clearly meant to poke fun at the post-apocalyptic genre and succeeds brilliantly. It has these footnotes throughout with little humorous facts. The M-34 hand grenade. Designed to look like a baseball but lacks seems and weights three pounds. Only fanatical Arabs and RIHMs use it. Or the Test Tube Baby Act that was designed to repopulate the devastated areas. It was quickly rescinded when early results began producing offspring with the IQ of wall paste and the disposition of African killer bees. If you want a good laugh mixed in with your post-apocalyptic adventure then this series is for you.